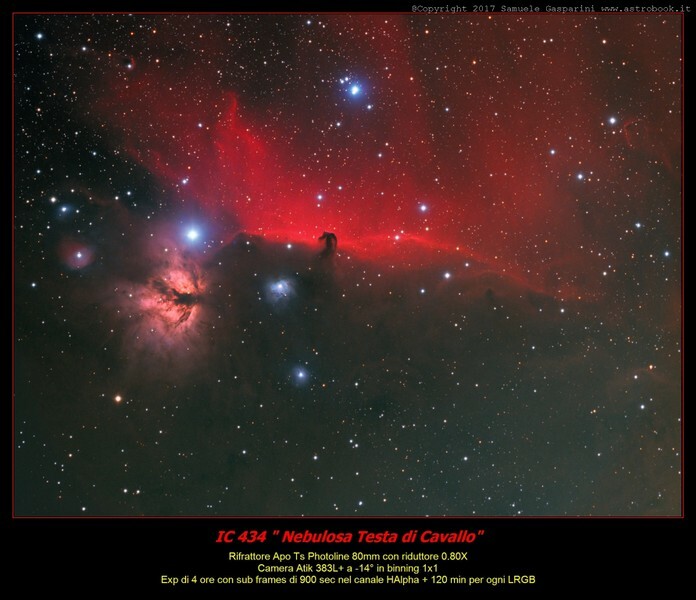 Ic 434 "Horse Head Nebula"
Explanation from Wikipedia: The Horsehead Nebula (also known as Barnard 33) is a dark nebula in the constellation Orion. The nebula is located just to the south of the star Alnitak, which is farthest east on Orion's Belt, and is part of the much larger Orion Molecular Cloud Complex. The nebula was first recorded in 1888 by Scottish astronomer Williamina Fleming on photographic plate B2312 taken at the Harvard College Observatory. The Horsehead Nebula is approximately 1500 light years from Earth. 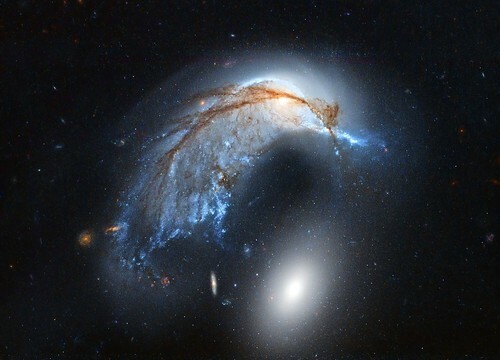 It is one of the most identifiable nebulae because of the shape of its swirling cloud of dark dust and gases, which bears some resemblance to a horse's head when viewed from Earth. 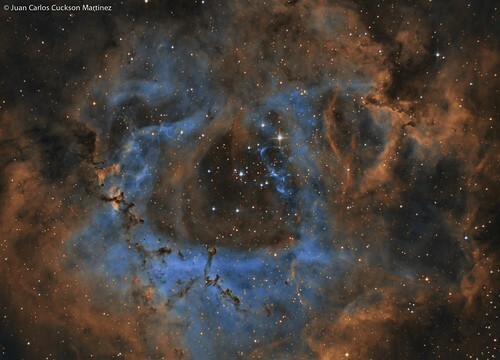 The Rosette Nebula (also known as Caldwell 49) is a large, spherical (circular in appearance), H II region located near one end of a giant molecular cloud in the Monoceros region of the Milky Way Galaxy. 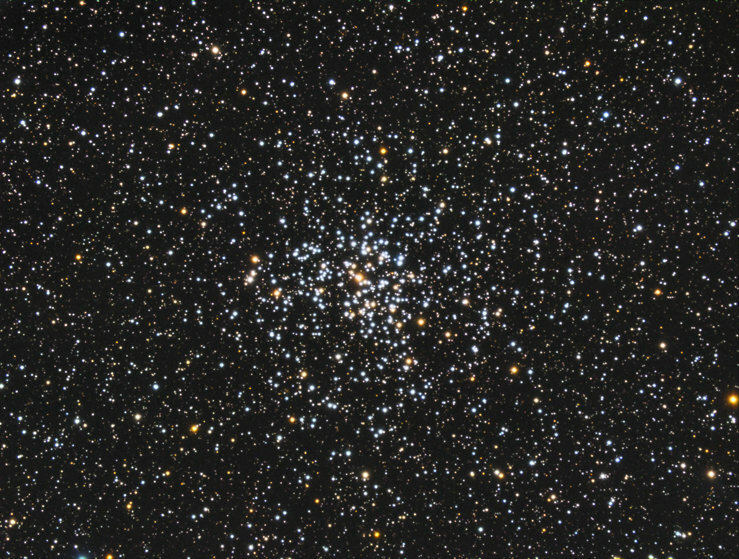 The open cluster NGC 2244 (Caldwell 50) is closely associated with the nebulosity, the stars of the cluster having been formed from the nebula's matter. 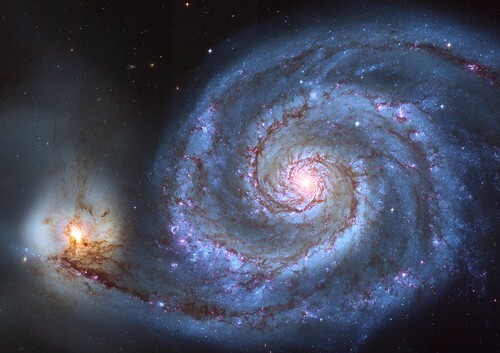 The cluster and nebula lie at a distance of some 5,000 light-years from Earth and measure roughly 50 light years in diameter. The radiation from the young stars excites the atoms in the nebula, causing them to emit radiation themselves producing the emission nebula we see. The mass of the nebula is estimated to be around 10,000 solar masses. Last edited by Juanky on Sun Jan 29, 2017 3:38 pm, edited 3 times in total. The one day phase crescent moon setting into Pacific Ocean. We can see the magnificent atmospheric refraction when the moon setting down. As moon close to the horizon, it gets flatter and distorted by inversion layer, especially the last one. The wave like sculpture is in the University of California, Santa Cruz, known as 'the Squiggle'. Looking into this startrails photos, one trail below sculpture, is surprisingly the second brightest star in the whole night sky, Canopus. It's located at -52°42′ declination and rises up no more than 1 degree above the horizon even with the help of atmosphere refraction. Here we have a glimpse of Canopus at 37 degrees Northern Latitude, and the extremely low altitude also distorted the trails at the end part. Last edited by bystander on Mon Jan 30, 2017 7:04 am, edited 1 time in total. Jupiter, GRS, Oval Ba and South Equatorial Belt zone disturbance on 2017-01-29-0938ut. LX200ACF 12 in OTA, CGE Mount, ASI290mm Ccd, PowerMate 2.5x Barlows, Custom Scientific RGB filters. 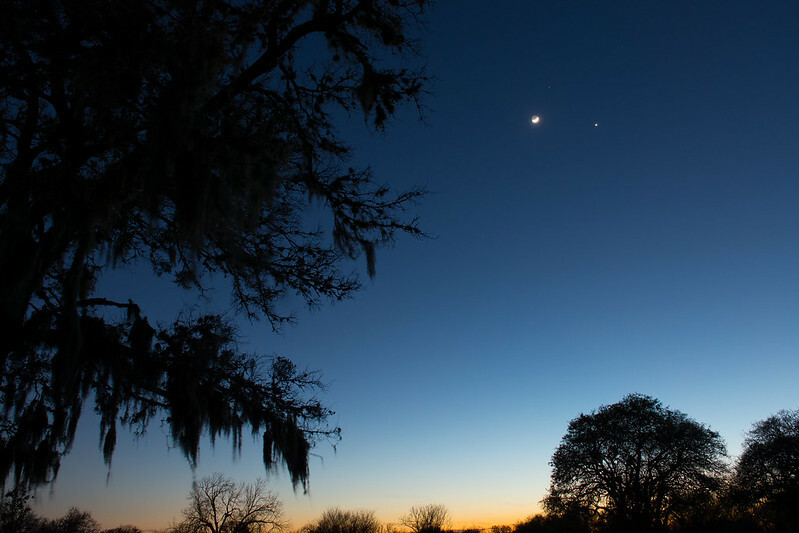 Moon, Venus, and Mars conjuction January 31st, 2017 from Victoria, Texas. Last edited by bystander on Wed Feb 01, 2017 5:46 am, edited 1 time in total. 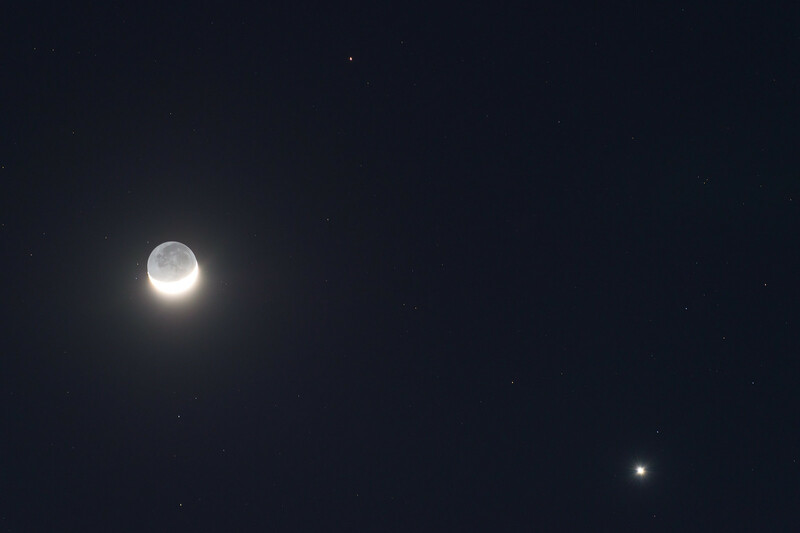 On the night of January 31st, the Moon passed within 2 degrees of Mars (top center) while joining Venus in the night sky. Messier 37 (also known as M37 or NGC 2099) is the richest open cluster in the constellation Auriga , It is the brightest of three open clusters in Auriga. M37 is located in the antipodal direction, opposite from the Galactic Center as seen from Earth. Estimates of its age range from 347 million to 550 million years. It has 1,500 times the mass of the Sun and contains over 500 identified stars, with roughly 150 stars brighter than magnitude 12.5. M37 has at least a dozen red giants and its hottest surviving main sequence star is of stellar classification B9 V. The abundance of elements other than hydrogen and helium, what astronomers term metallicity, is similar to, if not slightly higher than, the abundance in the Sun. 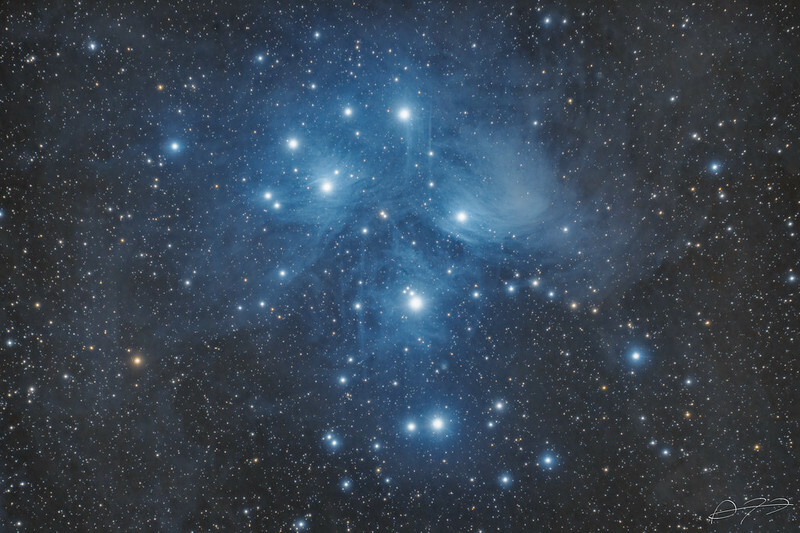 At its estimated distance of around 4,500 light-years (1,400 parsecs) from Earth, the cluster's angular diameter of 24 arcminutes corresponds to a physical extent of about 20–25 ly (6.1–7.7 pc). 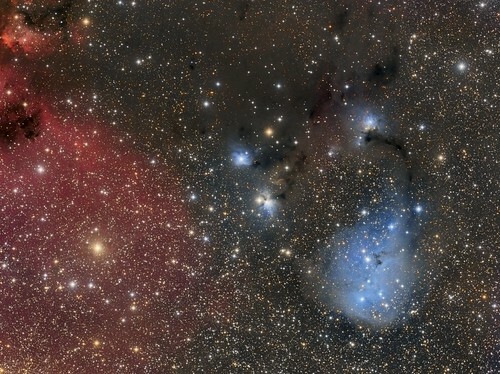 Here we have a look at the IC 447/6 areas - nice feature packed area of the sky. Not seen too often either. 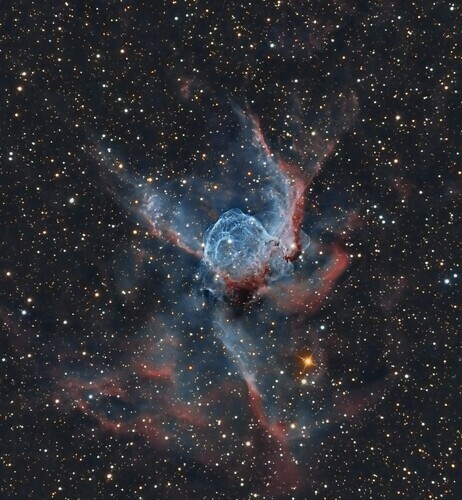 A winter favorite - NGC 2359 Thor's Helmet.